In order to sit comfortably for long periods, people need freedom of movement. 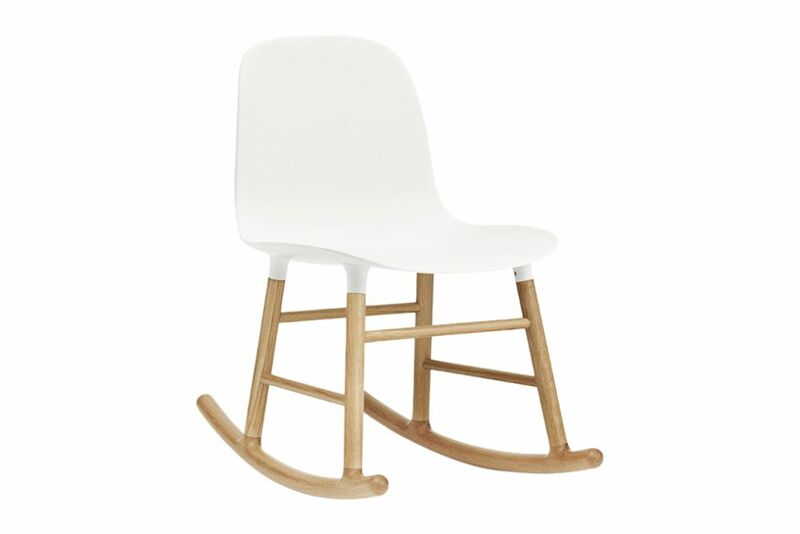 The Form rocking chair has a molded plastic shell with a wide, curved seat, which gives plenty of opportunity for changing ones sitting position. The thickness of the shell also transitions from 1 cm at the seat to 4 mm at the top of the backrest. This ensures strength and support where the weight is borne most, as well as good flexibility for the back. The rocking frame also offers extra potential for movement, and the comfortable, rocking rhythm has been shown to be both calming and relaxing. In addition to the comfort benefits of the rocking chair, it is especially well suited for creating inviting corners and expressive environments in all types of settings. With its sculptural silhouette and meticulous consideration for details, the Form rocking chair captures ones eye, creating atmosphere and seamlessly completing decors in large as well as small rooms. "The rocking frame was actually one of the first frames I designed. I think that there is something unexpected and surprising about the combination of an industrial, plastic shell and the more traditional wooden rocking chair frame. The frame is extremely strong and has been assembled by hand by furniture craftsmen who have ensured that the quality is the best possible. The parts for the wooden bases are treated with two coats of clear varnish before they are mounted onto the shell. This makes the frame extra hard-wearing and offers a beautiful, natural surface."